Saudi Women: Elections Are One Step Forward On A Long Road : Parallels Saudi Arabian women made history by voting and winning public office for the first time. But there are still many obstacles to an equal role in public life. 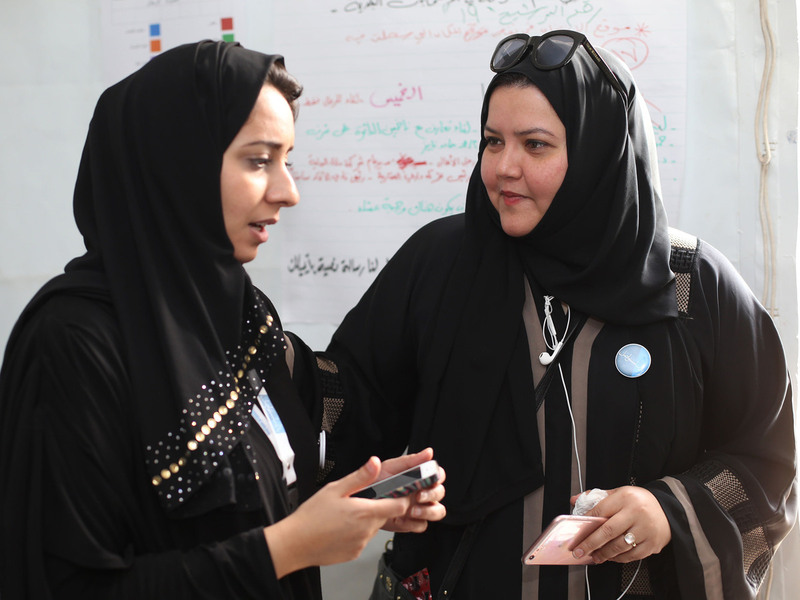 Jeddah activist Rasha Hefzi, right, shown here with Hanaa Amer, the head of her communications team, won a municipal council seat as the youth candidate. This was the first time Saudi women were allowed to vote, and women won 20 of 2,000 positions in municipal elections. Many women called it a step forward, but said they still face many obstacles in the kingdom. The first Saudi Arabian women to vote celebrated with hugs and selfies and lingered at the polls to share the moment on Saturday. Women won only 20 seats out of more than 2,000 in local councils across the country, but it was more than the candidates expected. In the western coastal city of Jeddah, one winner was Lama al-Suleiman, a prominent businesswoman and British-trained biochemist. She says the toughest campaign battle was fighting tradition in a male-dominated society. "The men have been very cynical, so I find that women mimic what the men say," she notes. "The big father figure at home says, 'Well, what did the municipal council do before.' It's a very patriarchal society here." Lama al-Suleiman, a prominent businesswoman and British-trained biochemist, won a seat in municipal elections in Jeddah. The toughest campaign battle, she says, was fighting tradition in a male-dominated society. Suleiman had support from men. 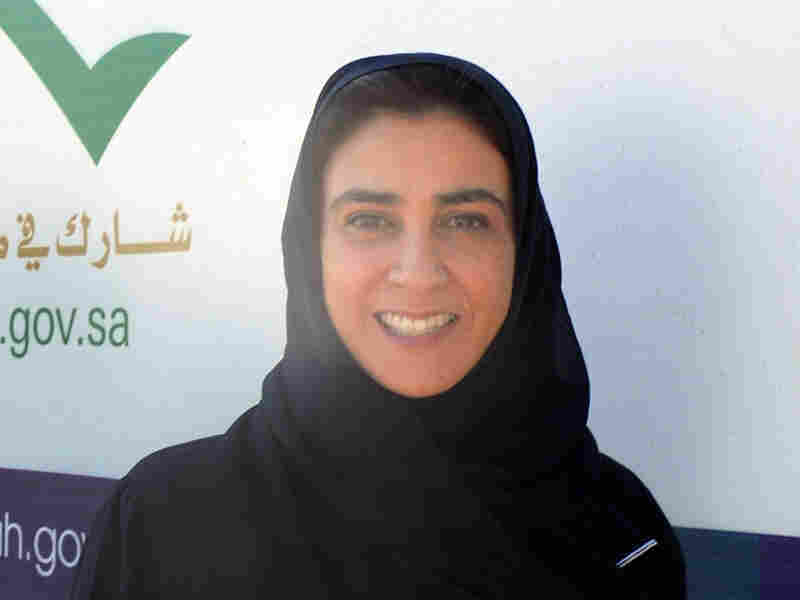 She was elected twice to the Jeddah Chamber of Commerce and now serves as vice president of the business organization. In the local municipal election, she ran a highly professional social media campaign to appeal to a wider group of voters. "These have been much more difficult, they come from more conservative backgrounds. But I have big hopes for men. They have always been there for me to win," she says. 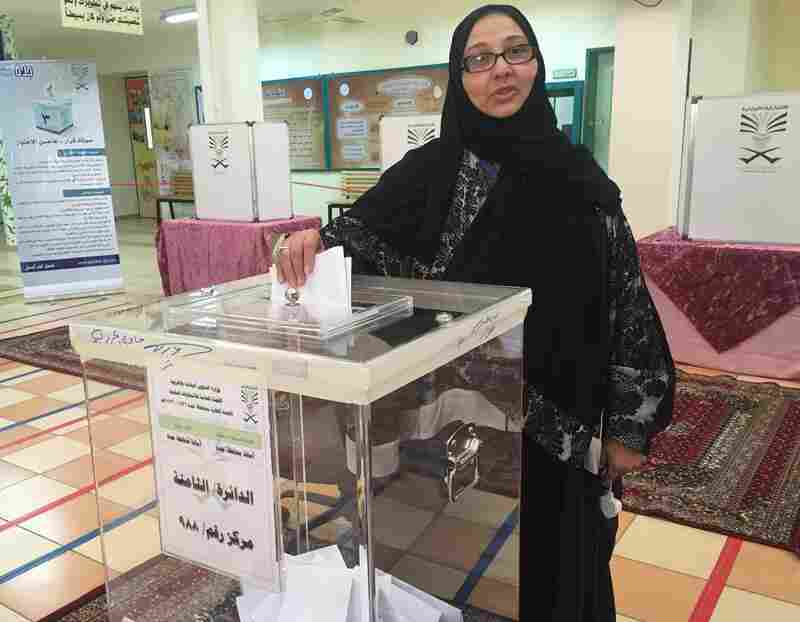 Candidate Sameera abu al-Shamat votes in Saudi Arabia's municipal elections on Saturday. Shamat did not win a seat. Another winner, Rasha Hefzi, 38, had support from young men, as well as women. She ran and won as the youth candidate. She's a local activist in Jeddah who organized an initiative when floods devastated the city and the government was slow to act. In campaign rallies for women, she lured voters with free kabobs and cotton candy. Female candidates were forbidden to talk to male voters face-to-face, so a group of popular stand-up comedians campaigned for her and performed in person at all-male rallies. "Any woman who won in this council is equal to 10 men, because there is a wall that we are trying to break," she says. But the wall is still there, say women who boycotted the election or didn't bother to register at all. Raneen Bukhari, 26, organizes a yearly art show in Jeddah to encourage young talent; she describes that event as a more open form of expression than politics in the kingdom. "I'm really happy that it's happening. It's exciting and (women) are getting public attention and they believe they are going to make a change. And they might. It's just not important to me," she says. What's important, she adds, is to lift the restrictions on women's lives in an absolute monarchy that limits politics for everyone. "Like we can't do anything for human rights," she says. "It's just like, 'No,' you can't have a political party, you know. No. These things, you are asking for trouble." Was this a historic moment in Saudi Arabia? The women who won the vote say it's a beginning, and change can only come when women have a voice.